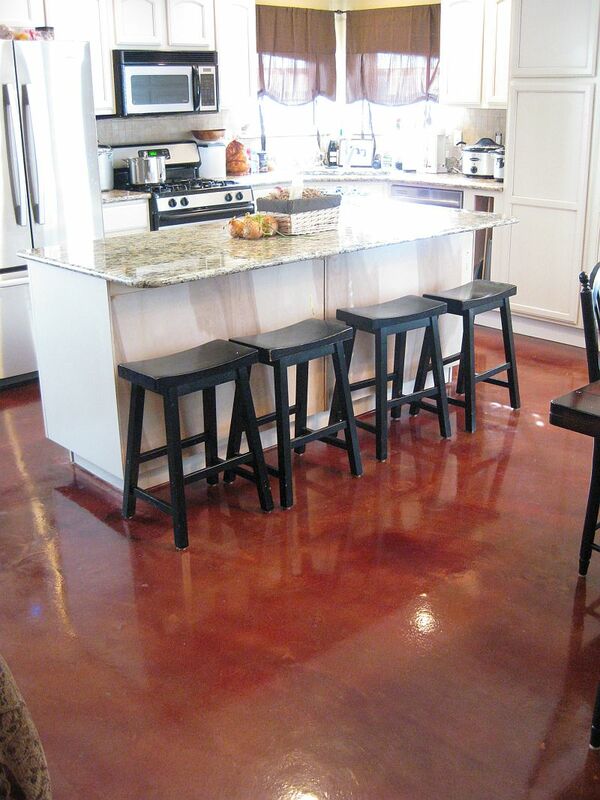 One of the most popular enhancements that can be performed on an existing concrete surface is an overlay. They can be done in varying thicknesses depending on what type of finish you want to achieve. We offer micro finish, trowel finish, broom finish, thin stamped overlay and stained overlay. Polishing is similar to grinding and sealing in that it produces a clean raw surface initially. However, the goal is to get that clean new surface refined to a glossy finish. This is accomplished by buffing the surface with a planetary grinder using progressively finer diamond pads with each pass. This continues until the desired sheen is achieved. Gemstones are polished in a similar fashion. The highly densified finished surface is extremely stain resistant and durable without the need for a topical sealer.